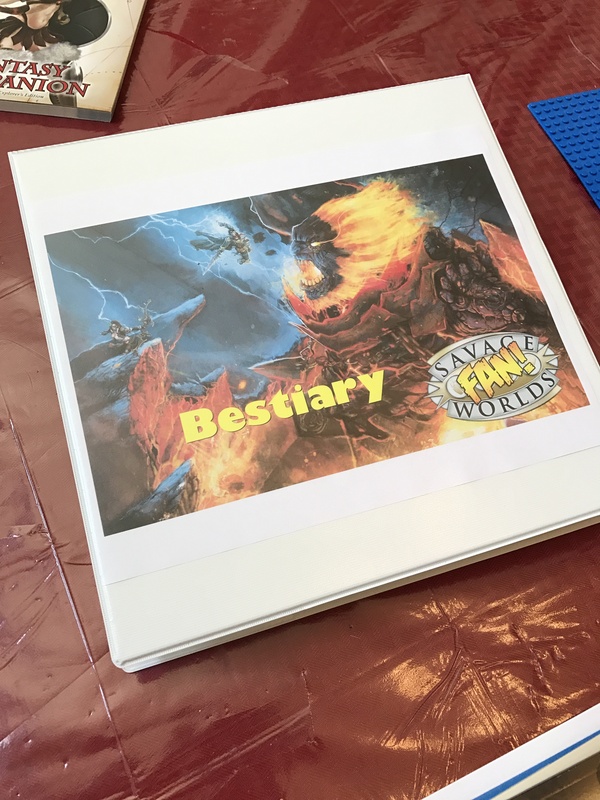 I started printing out the Bestiaries from assorted core books so that I’d have a readily available, super bestiary! 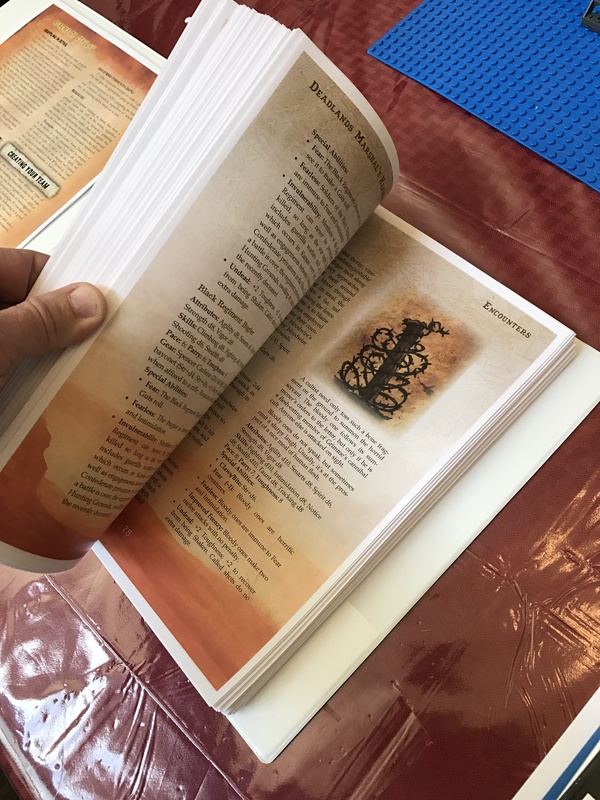 So far, It contains the bestiaries from the Deluxe Explorers Edition, Sci-Fi Companion, Fantasy Companion, Horror Companion, Leviathan, Iron Dynasty, Realms of Cthulhu, Deadlands: Reloaded, Weird Wars II, and the free Savage Free Bestiary created by Butch Curry. I’ve also added my own creations from Savage Worlds League and Call of Kungfulhu. I find I use this bad boy quite a lot. It also comes in handy when creating new creatures! 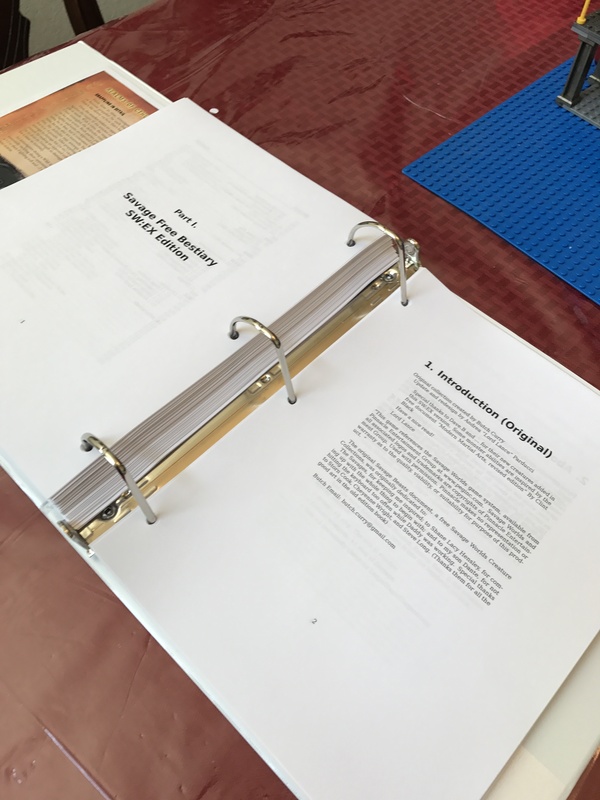 I printed it piecemeal over time.